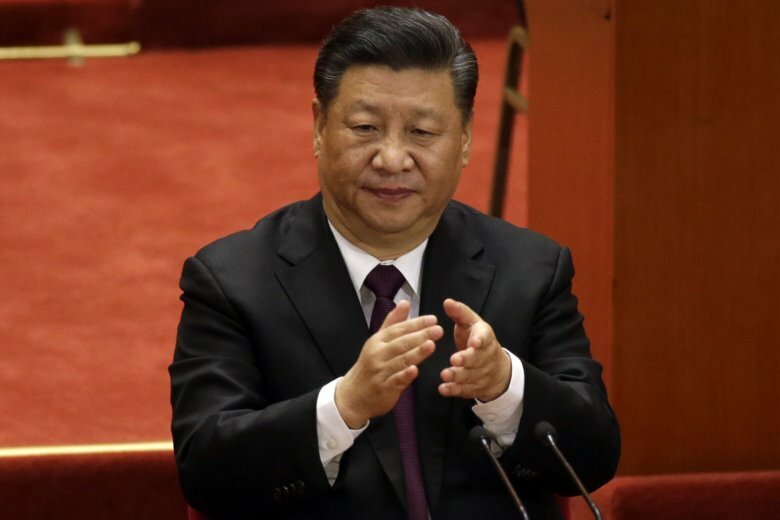 BEIJING (AP) — China will never pursue hegemony, President Xi Jinping said Tuesday as global concerns persist over the country’s growing economic influence. During a speech to mark 40 years of market reforms, Xi repeated China’s commitment to a multilateral trading system and further opening of its economy. However, he did not announce any new initiatives to counter a slowing economy and trade frictions with the United States. China’s expanding footprint worldwide — from Asia-Pacific to Africa and beyond through a broad network of infrastructure projects called the Belt and Road Initiative — has led some nations to raise the alarm over what they call China’s long arm of influence, which has been criticized for being political as well as economic. While Xi said China is “increasingly approaching the center of the world stage,” he also noted that the country pursues a defensive national defense policy. Xi chronicled at length the country’s recent achievements, giving special credit to former leader Deng Xiaoping, whose reforms Xi said saved China from the brink of economic collapse following the tumultuous Cultural Revolution. Other celebrations of reform and opening up have been criticized by scholars for downplaying the role of Deng, widely considered the architect of the changes, in order to elevate Xi. This time around, Xi spared no praise for Deng, as he began by remarking on the significance of 1978 — the year Deng implemented his first reforms. During the ceremony, 100 individuals were recognized as pioneers of reform. The eclectic slate included NBA player Yao Ming, Alibaba founder Jack Ma and Nobel prizewinning scientist Tu Youyou. They received their medals to the tune of “Story of Spring,” a patriotic ballad paying tribute to Deng. Throughout, Xi emphasized the absolute rule of the Communist Party and its upholding of Chinese sovereignty. “This was a broad attempt to provide a really positive, confidence-building story of China’s past 40 years and its future,” said Gewirtz, who has written a book about China’s economic reforms. The address won’t assuage concerned private entrepreneurs and foreign businesses, who had hoped Xi would use the occasion to announce concrete industry-opening measures to shift dominance away from state corporations. China’s push to dominate the high-tech industry by 2025 is a sore point with Washington and a contributing factor in trade tensions that have seen the world’s two largest economies slap billions of dollars in punitive tariffs on each other’s products this year. In a move welcomed by global stock markets, President Donald Trump agreed Dec. 1 to postpone more U.S. tariff hikes on Chinese imports for 90 days while the two sides negotiate over American complaints about Beijing’s technology policy.